Thoroughly devoted to the ancient Hindu Sanatan culture, value systems and spiritual traditions, his holiness Sai Chandruram Sahib ji, has dedicated every moment of his life to reestablishing, reviving, rejuvenating and strengthening the same. A firm believer in the principles of social equality, unity, fraternity, brotherhood and peace, his divine self inspires people with the resoluteness, sincerity, frankness, and openness (or clarity) of his noble thoughts and speech and the selflessness of his actions and services rendered to mankind. It is a difficult task indeed to encapsulate His Holiness Sai Chandruram Sahib ji’s biography in a few words or attempt to condense and limit the colossal persona to a few pages. Gopal Krishna to the avid and chaste Gau-Bhakt, Sant Baba Asuda Ram Sahib Ji. His Holiness Sai Chandruram Sahib ji demonstrated a keen interest in the study of Vendanta from early childhood, and by adolescence he had spent enumerous hours of deep contemplation, reflection and meditation on the holy scriptures like Guruvaani, Srimadbhagvat , the Gita, and Ramcharitmanas etc. 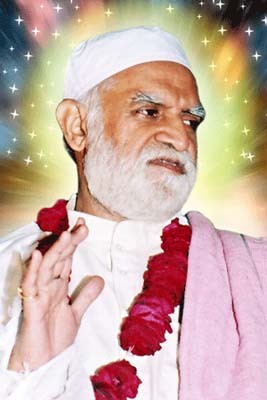 During this time he sought the solution to several persistent logical queries from various learned saints and enlightened spiritual masters, Gurus and came to the conclusion that for a true inquirer and pupil, it was essential to receive the blessings, guidance and inspiration from a Guru, the knower; and that Guru-Kripa is above all else. An ardent and dedicated devotee of the renowned saint of Sindh Sant Satramdas Sahib ji and Amar Shaheed Sant Kanwarram Sahib ji, His Holiness Sai Chandruram Sahib ji has been blessed with a mellifluous voice. His deep sonorous voice has an unparalleled divine charm, which invokes a spontaneous adoration and reverence (devoutness) towards the Almighty. The melodious notes and soulful rendition of his devotional songs is extremely captivating. The repertoire of his Bhajans prominently includes the philiosophies and tenets of the Sufis, saints, mendicants, seers, the Fakirs and Darveshas, stressing on universal brotherhood. His Holiness Sai Chandruram Sahib is the embodiment of love and compassion, the perennial source and eternal light of love and affection. His oration demonstrates his command over the philosophy of universality and Sufism and his firm faith in God Almighty.. He is of the view that one should never, for a moment, forget the Lord.That one should serve everyone be it the poor, destitute, sick, forsaken or the believer of other faiths, service of mankind should be the aim. Serving thus, one should endeavour to make others happy, keeping a firm faith on the lord; for, the Lord is not different or far from us, he resides in (the core of) our hearts. Every human action is evident to our creator. Therefore our character, actions and behaviour should be honourable, noble and consistent , with the constant acknowledgement of the presence of the Lord. Remembering and chanting his name at every step. His Holiness Sant Sai Chandruram Sahib ji is renowned in Sindh and Hind (India) for his intellectual prowess (impressive intellectualism), knowledge and meditation, magnanimity and generosity. His gentility, courteousness and oratorical skills warmly remind one of the great Saint of Sindh Sant Kanwarram Sahib ji , endearing him ever so more to our hearts. Ever absorbed in the state of bliss, His Holiness has great concern for the poor, destitute, orphans and disabled. His heart surges with an ocean of love for them. The various social services being rendered ( social service programmes being conducted) by the Shiv Shanti Ashram, under the guidance of His Holiness are symbolic of this love for mankind and social emancipation. His Holiness has established such organizations in 58 cities of the country (including Lucknow), which are working under the aegis of the Ashram, rendering their services to alleviate and assuage the suffering of the poor and needy, reaching out to every nook and cranny of the towns and villages and cities. 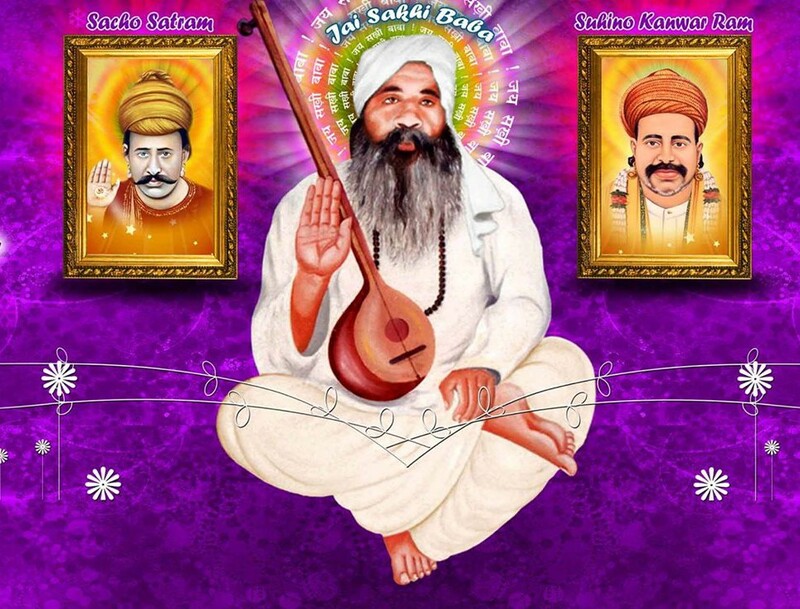 His holiness has undoubtedly sacrificed and dedicated his life for the welfare of mankind and travels relentlessly and extensively for days doing service to the needy.Tulsidas ji has rightly said.. “….sant sahhin dukh parhit laagi “In his discourses, his holiness emphasizes on the dedication and devotion to the Lord to attain fulfillment and make the optimum utilization of this God-gifted Human body, human life, which even the demi-gods, Devatas are envious of. At the same time he ruthlessly condemns the social-evils, out-dated conventions, rituals and customs crippling the society. He cautions us against the deteriorating moral and human values instilling an awareness towards safeguarding them. He strongly lashes out at people who propagate fanaticism and pretension or feign religiosity thus vitiating peace in the community. At such a time in his discourses, he appears to be a fearsome, raging lion, raring to slay the demonic evils. His Holiness himself endeavours to seek the darshans of such highly evolved intellectuals and spiritual masters, saints and gurus, enters into saintly, noble discussions, confers with them and willingly accepts and imbibes the valuable knowledge imparted by such saints. His Holiness’ strong will,resoluteness and fearlessness are exemplary.Ever smiling, ever humble, plain-hearted and earnest, his holiness’ genial personality is worth emulating. Believer of the dictum that “guru anek par sadguru ek” i.e. there are enumerable teachers but only one mentor or guru, His Holiness, magnanimously proclaims that one must imbibe and acquire the wealth of knowledge and good virtues from wherever one finds them regardless of the worthiness of the source for virtues and knowledge are priceless and welcome in any form.